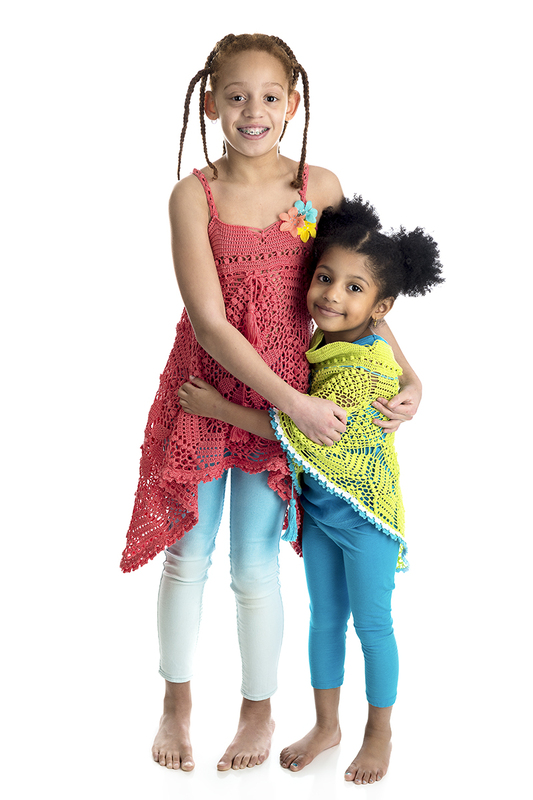 Add a splash of color and fun to your child’s wardrobe with this adorable Summer collection! 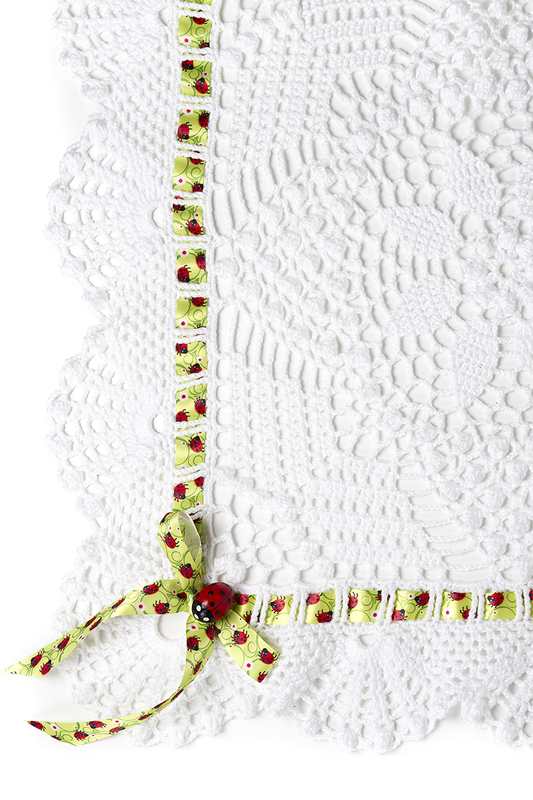 Discover the possibilities of seven whimsical designs inspired by invigorating sights and sounds of this beautiful season. 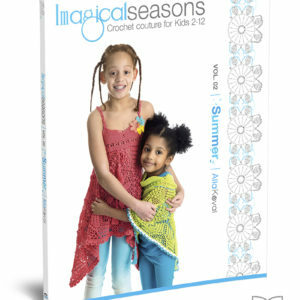 This second volume of Imagical Seasons book series with its total 38 designs will swing you into the warmest time of the year with simple and versatile patterns to be transformed into a variety of creative options. 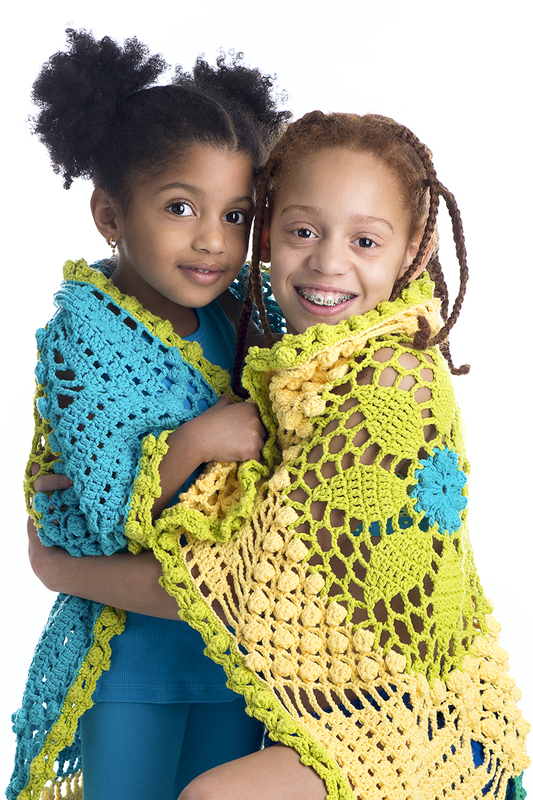 You will learn how to stitch anything from a blanket to a halter dress using the same square motif with varying yarn weights! 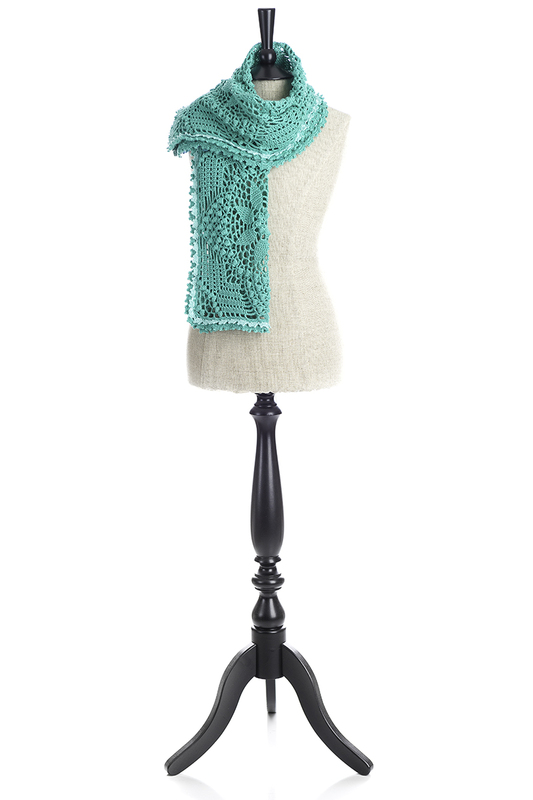 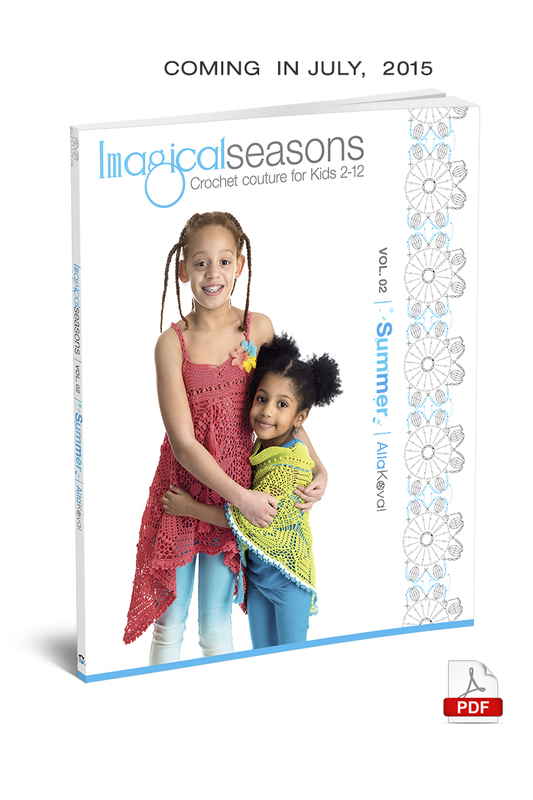 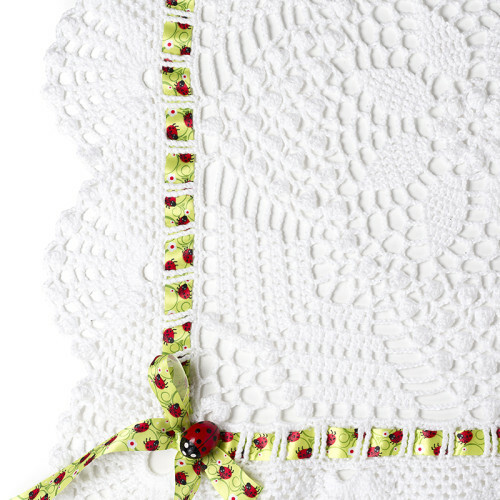 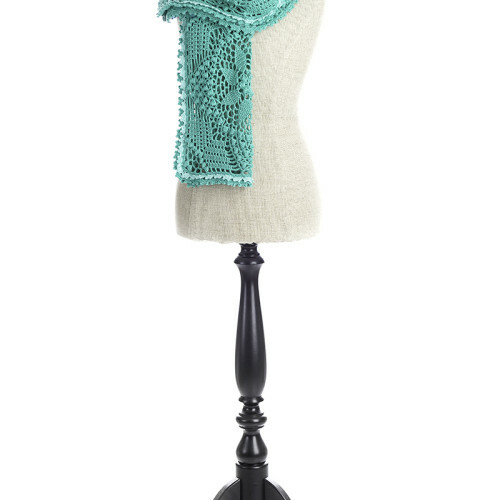 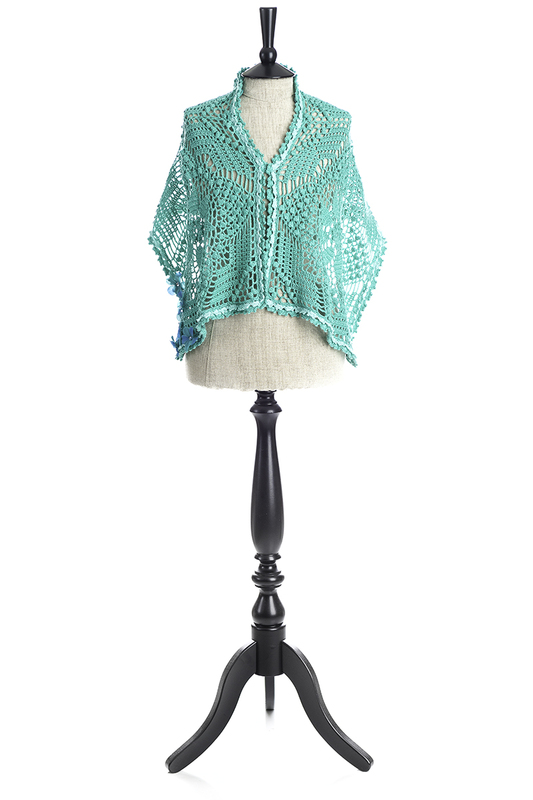 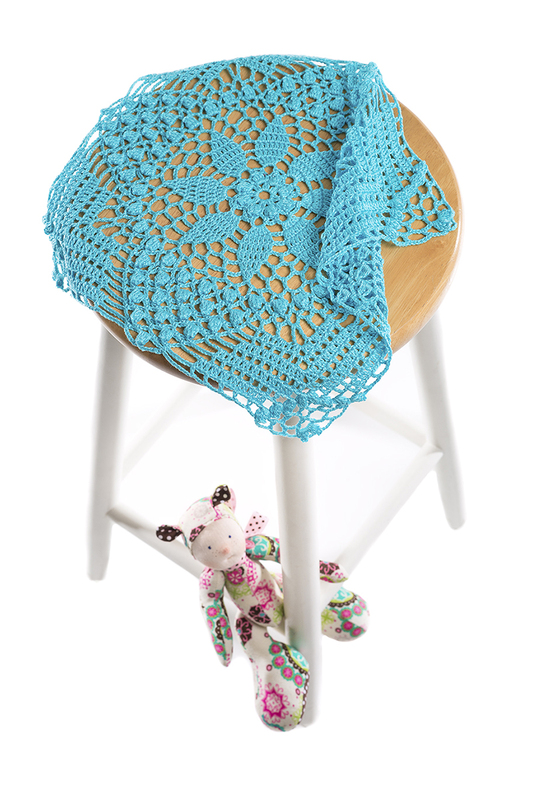 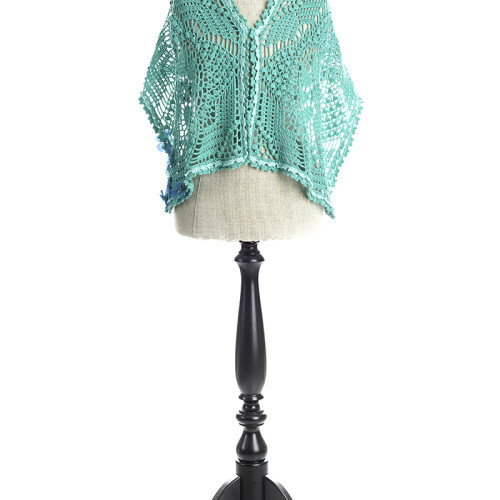 Title: Imagical seasons : crochet couture for kids 2 – 12, volume 02, summer / Alla Koval. 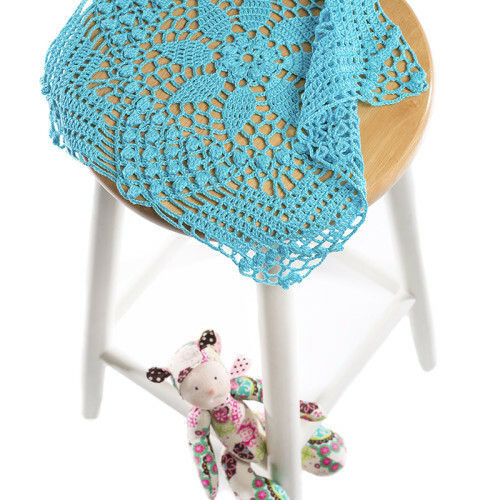 Unique stitch diagrams that speak the international language of crochet. 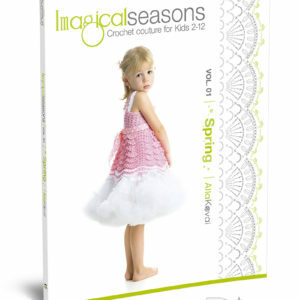 Detailed easy-to-follow written instructions and stunning full-color photos. 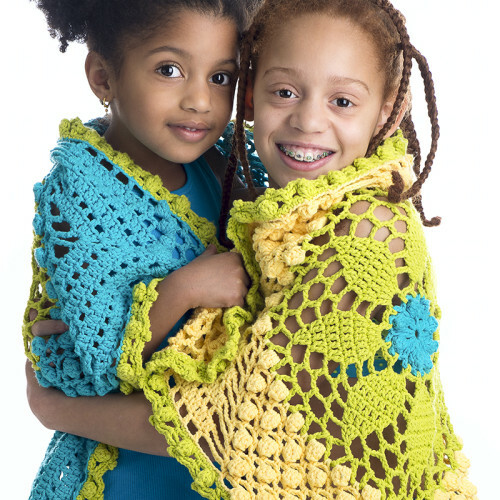 Size ranging from 2–12 years, and there are even a couple of items for grown-ups, too!